I SCREAM, YOU SCREAM...WE ALL SCREAM FOR ICE CREAM! 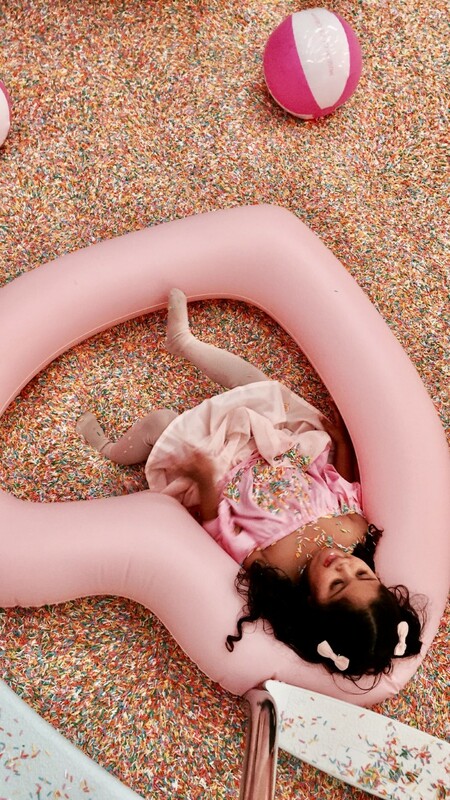 Did someone say A MUSEUM OF ICE CREAM? We couldn't help but jump on this...our little Amira's favorite thing ever is ICE CREAM...yup, ever since she was a baby..(my husband's fault! )...she loves Ice cream so much that her 1st-year birthday was all Ice cream themed just for her! 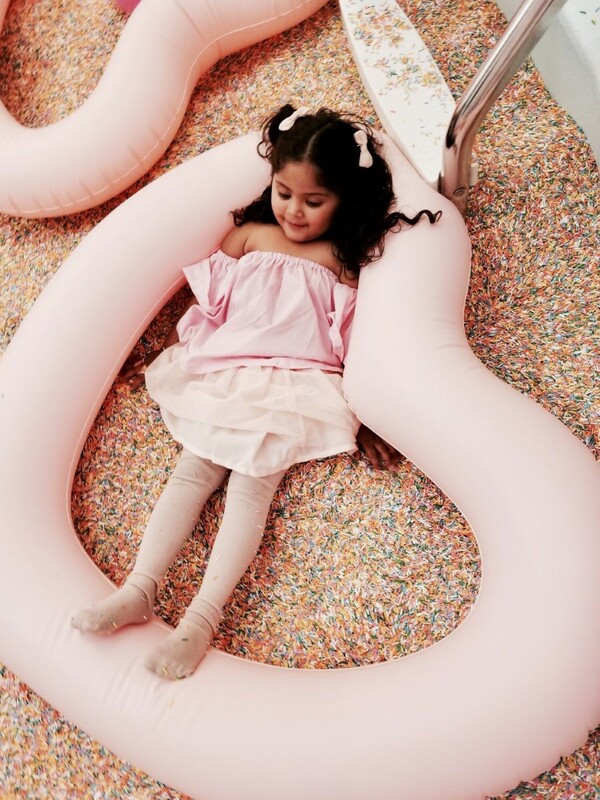 I had heard of the Museum of Ice cream in LA, but unfortunately, we never made it there, so I was super excited to hear they were coming to SF! Although, its different from the LA version, this one was still a lot of fun, especially for my little one! We had a blast going through each room with a surprise awaiting us...the Museums consists of pop rocks, ice cream walls, interactive games, banana swings, giant gummy bears, cotton candy clouds, sprinkle pools and of course, ICE CREAM! All kinds of ice cream, from bi-rite cheesecake, mochi to mini cones while you wait ice cream! 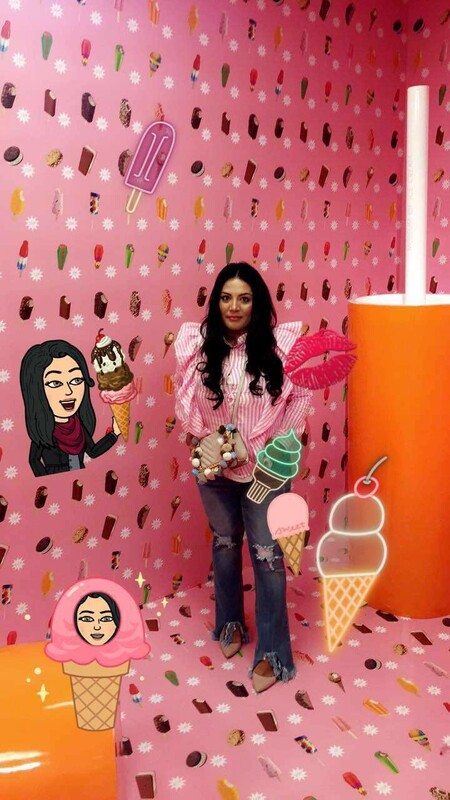 Every wall here is an Instagram worthy shot, the cherry clouds, mirrored rooms to unicorn statues to pose on...you will sure have a blast here! And hey..if you love pink you will absolutely love it!